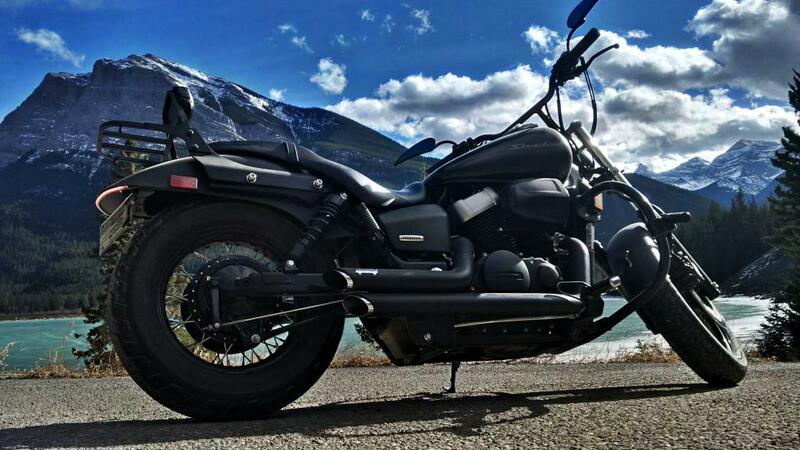 Honda Shadow Forums : Shadow Motorcycle Forum > Local Discussion > Canadian Riders > Calgary / Airdrie / Okotoks riders? Calgary / Airdrie / Okotoks riders? Hey, new to the forum, always looking for folks to ride with. Evenings out to Bragg or Cochrane, Canmore etc. Day ride weekends are great too. Let me know looks like it should be a great summer for once weather wise. ? Hi guys, I picked up an 1100 Spirit a few weeks back so fairly new to this forum, Im 1/2 hr ne of Calgary on the #9 that runs up to Drumheller. Ive been wanting to check out a bike/gun shop in Drum for a few weeks but sht keeps gettin in the way... maybe this weekend tho if the weather holds. Im 27k from the #1, intersection of #9 and range road 264, if you drive by feel free to stop in, first acreage on east side of 264, about 400yds off #9. I work nights mon-thurs so Im off fri, sat, sun every weekend. The ride home from work(Balzac) at 2am is starting to get a bit chilly, last night I went from Balzac out to Crossfield, over to Beiseker and then past Irricana, wasnt too cold, but it wasnt warm either, saw a couple deer but they politely waited in the ditch as I past by, which is fairly common with mule deer, they dont often 'appear out of nowhere' like whitetail always seem to. Yea I hear ya. I'm off today but I have so many errands to run, because I work tomorrow and all next week. I'll definitely be riding to my appointments today though haha. Went down to plus 1 last night, I wouldnt want to ride too far in that but it wasnt bad for the 20 minute ride home. I have a windscreen and some extra deflectors mounted on the crash bar so that cuts down the wind pretty well. Tonight looks better, only down to 6 so that wont be bad. I went for a little ride along the Red Deer River near Drumheller on fri, oct 2, might not get many more nice days this year. Starting at Drum and heading east theres a couple interesting stops, Star mine suspension bridge, the Hoo Doos clay formations, Atlas coal mine. 21 Attachment(s) Any Mississippi Riders?